10/100Base dual fiber media converter is the conversion equipment of Ethernet optical-electronic signals between 10/100M UTP interface (TX) and 100M Fiber interface (FX). The traditional 10/100M Fast Ethernet can be extended to the distance of 120km through optical fiber link. 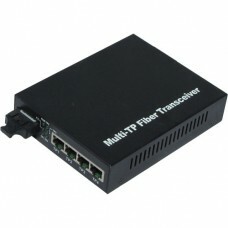 The 10/100base dual fiber media converters are with reasonable price and especially designed for network users.